Are you looking for a day of indulgence? Say no more. 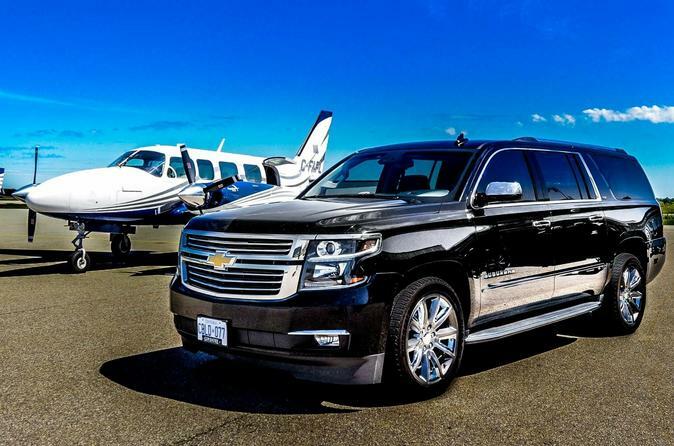 Fly from Toronto to Niagara with views of majestic Lake Ontario, then get picked up by a Limo or Luxury SUV (based on group size and availability) and enjoy Niagara’s best. Experience some of the regions top wineries including small-batch and limited release wines along side cheese and charcuterie pairings. Take in vineyard views during lunch and see the charming town of Niagara-on-the-Lake. Fly from Toronto's city airport- just a few minutes from your hotel. We will arrange flights on an 8-passenger plane to whisk you across lake Ontario in only 15 minutes. Take in the views of the city skyline and the expanse of the gorgeous lake as you cross. Once in Niagara you will be picked up by our car service and your expert guide will take you along the Niagara parkway and see the charming town of Niagara-on-the-Lake. Then visit 3 top wineries in the Niagara peninsula with private tours, tastings, and VIP access. Enjoy cheese and charcuterie with your wine; you’ll have it and more as you sip cool- climate wines like Chardonnay, Riesling, Pinot Noir, and Cabernet Franc. Multi-course lunch is hosted with vineyard views and locally sourced ingredients. After you have properly wined and dined we will take you back to Toronto in time for evening plans- whether it be dinner, a game, or a live show. If you wish to stay overnight, please contact us to confirm that we can have you flown back the next morning or afternoon.